My name is Aihuani. 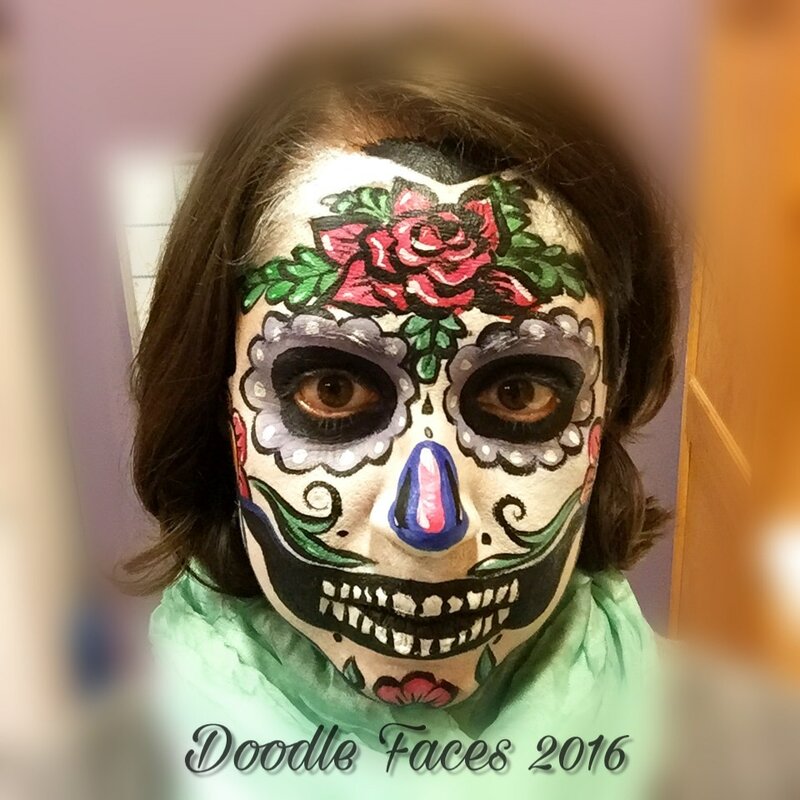 I'm the proud owner of Doodle Faces and a professional artist and muralist serving Ventura County and surrounding areas. I specialize in a wide range of art services featuring Face Painting, Painting Parties for kids and adults, Fine Art, as well as public and private murals. I strive to assist you with any of your creative needs, taking great pride in my work and hoping you enjoy seeing it as much as I do creating it! I have always had a passion for the arts in general, but I especially like the visual arts. My first painting was a still life, oil on canvas, that I did when I was 6 years old... with my grandmother, I have been painting and doodling ever since, but it wasn't until I had kids that I starting painting faces... I never would've known how much I enjoy painting kids faces if it wasn't for them! The best and most rewarding part about my job, is to be able to see the look in the kid's face after I had finished painting their face; transforming them into that magical creature they wanted to be at that particular moment in time. I love what I do and am grateful to have the opportunity to work doing what I love!